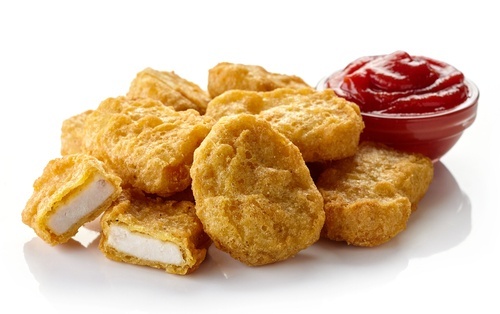 What happened when McDonald's brought back a popular dipping sauce 20 years later? And how did Snapchat help the Jordan brand sell out of their newest sneakers in minutes? Read these stories and more in this week's inbound marketing highlights! In a surprising new social media campaign Bud Light's, Lime-A-Rita brand has started an advice column. You can now seek out advice from the three “Ritas” on Twitter, Instagram, or Facebook by using the hashtag #AskRita. The campaign has quickly become a hit with TV personalities cashing in on free, straight-talk advice from Rita. As it says on their Twitter profile, “We've been there, done that and will help you with everything from breaking up with your boyfriend to naming your puppy. Tweet us your questions, we're listening...” Social media users be warned: they're giving out opinions whether you ask for it or not, so be careful what you post publicly! McDonald’s announced the return of their Szechuan Sauce and everyone is in a frenzy! The sauce will become available at every McDonald's restaurant starting Feb 26, 2018, but only while supplies last. The saga of this dipping sauce has been a strange one. The sauce was initially released in 1998 to accompany Happy Meals and their chicken nuggets. Once the promotion was over, McDonalds ceased to offer the sauce and everyone forgot about it. Fast forward to April 2017, the sauce was mentioned in popular cartoon show, Rick & Morty, bringing it back into the public's attention. Ricky & Morty later escalated the discussion by starting a change.org petition, asking McDonald’s to bring the sauce back. The petition eventually got 38,742 signatures! During the peak of this hype, packets of the original sauce from the 90s started to surface on eBay, with one even selling for $14,700. McDonalds also started giving away specially-made bottles of the sauce to a few select winners on Twitter, causing even more chaos. McDonald’s eventually gave the people what they wanted and re-released the sauce on October 7, 2017. However, the launch backfired as they failed to stock enough to meet the public’s demand, leading to protesters and picketers. Despite drama in the past, McDonald's is giving the sauce another run with the big 3rd release coming next week! Are your marketing efforts... creepy? New studies show that consumers are increasingly weirded out by forms of personalization. While half of consumers ignore creepy experiences and keeping shopping with a brand, 22% report leaving for another. While consumers are demanding high-quality and relevant content online, they believe most brands are taking it too far. Brands are struggling to strike a balance between a healthy level of personalization and overstepping. According to a study by Accenture, lack of personalization cost businesses $756 billion, collectively, in 2016. Some of the creepy experiences that consumers reported from brands include invasiveness, being stalked or watched and being asked for personal information that seemed irrelevant to the campaign. According to the report, Millennials as a generation, are notably upset about the intrusion. Is your mobile strategy due for an upgrade? According to this study….probably! Some marketers are still thinking about mobile marketing all wrong. Mobile is not just an alternative to landlines, rather, it is a way of life. Coming this year, consumers will own between 40 and 100 connected devices. The market has expanded beyond smartphones with the rise of virtual reality, telemetry, and IoT. On top of this data, consumers look at their phones nearly 12 billion times each day. And interestingly, while older generations are starting to become more technologically savvy and are increasing their smartphone usage, younger generations are starting to become more “unplugged” with increasing awareness of device addiction. So how can marketers improve their mobile strategy with all of these changes? Read the article to find out! Snapchat is making moves once again with their augmented reality lens. This time, it was promoting the new, Air Jordan III Tinker sneakers. The unreleased sneakers went on sale exclusively via a special QR code within the app. The promotion, which occurred over the NBA All-Star weekend demonstrated how technology, ecommerce, and a whole lot of hype can create a new shopping experience that consumers can’t resist. So how exactly did this work? Snapchat users at the Staples Center saw a special 3D AR lens of Jordan in 1988, slam dunking. Users were able to walk around the lens and tap Jordan to see his uniform and sneakers change. Later, at a Jordan brand special event, Snapchat revealed the QR code users could scan, take into the Snap Store powered by Shopify and purchase the hottest pair of Jordans on the market. Users could also receive the shoes in less than two hours, thanks to Darkstore, a company that specializes in offering ecommerce companies same-day delivery. These sneakers sold out in 23 minutes. There’s no denying that this effective stunt is the future of marketing and ecommerce! But will other brands follow suit with similar measures? We shall see.